Location: Resorts World Sentosa, The Forum Level 1, 8 Sentosa Gateway, Singapore 098269 | Opening Hours: 6pm – 10.30pm (Tue to Sat) | Reservations: Call +65 6577 6688 or email them. 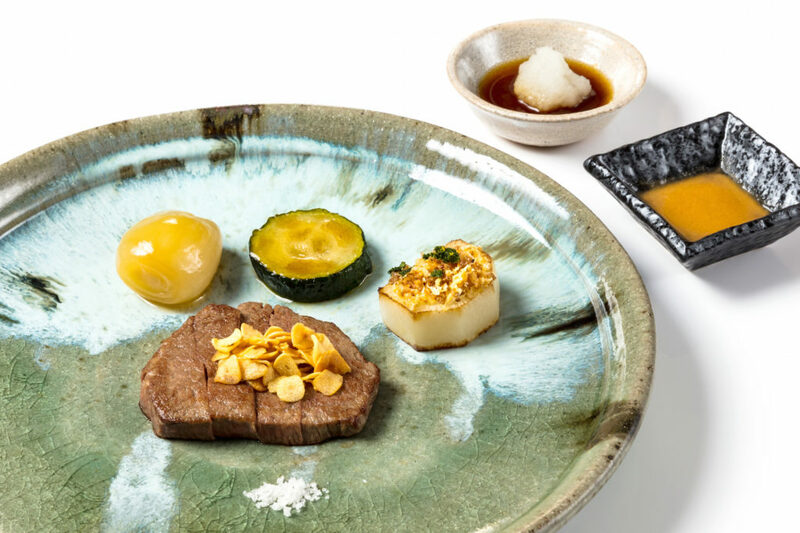 Headed by Michelin-starred chef Masayasu Yonemura, Teppan by Chef Yonemura is his first establishment that features a three-in-one theatrical dining concept. I know, I know – what exactly is a theatrical dining concept anyway? Basically, you’ll get to watch the chef skilfully prepare your meal on the teppan grill, which, you have to admit is kind of cool. Will he overcook the beef? Is that lobster sizzling on the grill still alive? Are they going to give me rice with this? So many questions, but the only way to find out is to experience it for yourself. As with most top Japanese restaurants in Singapore, many of the ingredients are air-flown from Japan. Menu highlights include Japanese Wagyu Beef Fillet Steak, Live Prawn and Abalone Stuffed Tomato, and Crepe Suzette A La Teppan served with fresh oranges, pineapple juice, Grand Marnier and vanilla ice cream. Tablescape is a new Modern European restaurant and bar at the centrally-located Grand Park City Hall. The restaurant is focused on providing a dining experience that emphasises the food, rather than all the bells and whistles that can sometimes be too distracting. The menu is a mix of hearty and comforting dishes, carefully curated to be paired with cocktails and wine. 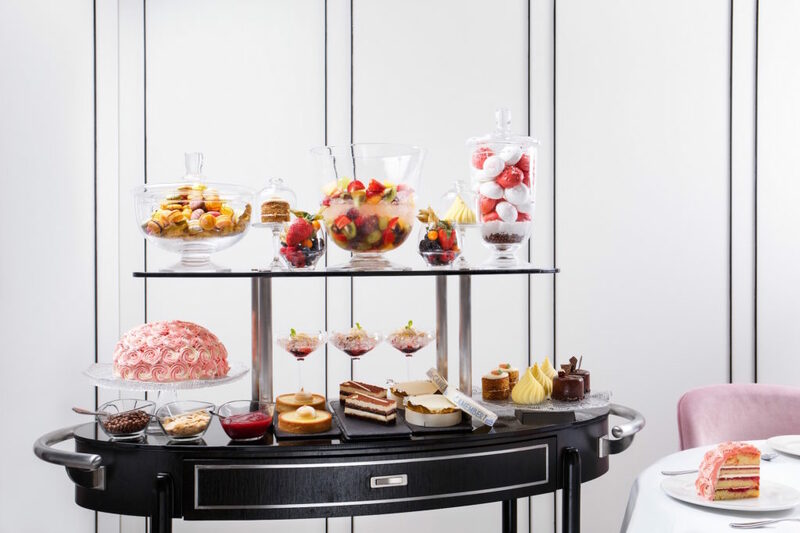 Menu highlights include the Smoked Braised Black Angus Short Rib, Veal Sweetbread and a Dessert Trolley that will most likely please your sweet tooth (and camera). 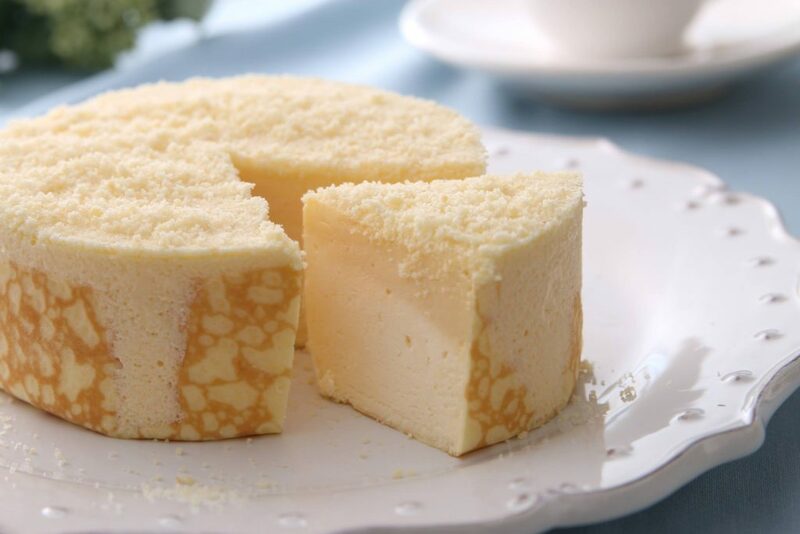 As its name may suggest, Tokyo Milk Cheese Factory combines premium milk and high quality cheese to make the most delightful cookies and cakes. Try the Camembert Cookies with sea salt from France, or the Gorgonzola Cookies infused with Rosemary Honey from Spain. If you want something a little more indulgent, go for the soft ice cream parfait, which is topped with their signature cheese cookie and cake. Poké (pronounced po-keh, not pohk) bowls have been all the rage lately, so it’s no surprise that someone has come up with a vegetarian version of the raw fish salad. 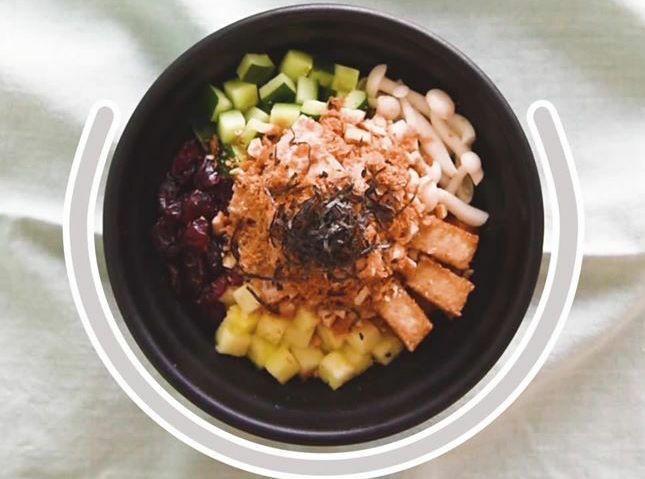 Vegetarian chain Greendot has launched its Vegetarian Salmon Poké Bowl, which features ingredients like Wasabi Mayo Konnyaku (to replace Salmon), Shimeji Mushrooms and Japanese Pickled Cucumbers – all for under $10 (and 500 calories). 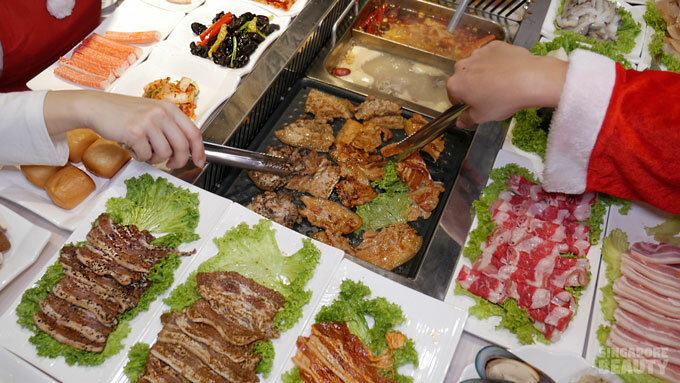 If eating clean is not your jam (hear, hear), you’ll be pleased to know that DM Chicken has launched a new 2-in-1 BBQ & Hotpot Buffet. The meal includes over 60 dishes and 16 condiments, with a built-in fume suction system and refined layout to reduce smell and oil splatter. Patrons can also enjoy a complimentary 5D Cinema Ride at the restaurant’s game area – provided you’re not too full to move after all that feasting, that is. Available at the Ah Mah Homemade Cake outlet at Changi Airport, Terminal 3 Departure Hall for now. The popular castella cakes from Ah Mah Homemade Cakes created quite the buzz last year, but the hype has hardly died down since. 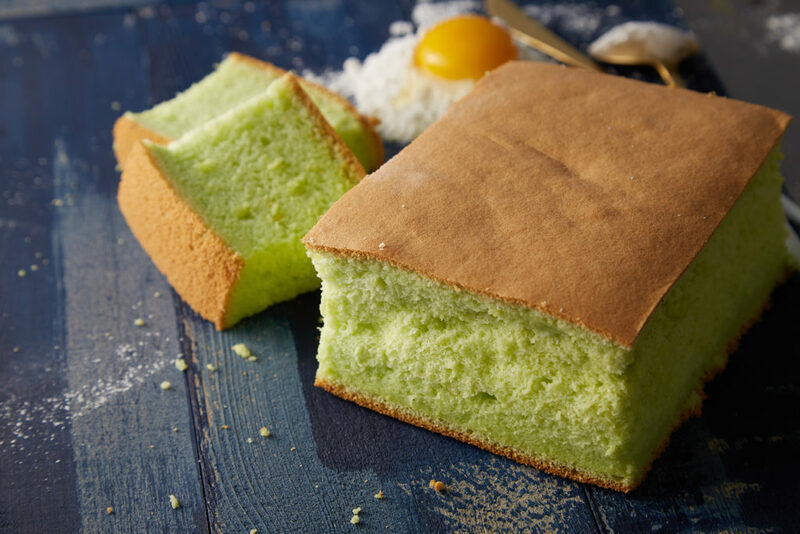 To celebrate its new outlet at Changi Airport’s Terminal 3, Ah Mah Homemade Cakes has launched two new flavours, exclusive to Singapore – Singapore Pandan ($13) and Milo Dinosaur ($13). The Singapore Pandan is very much like a softer and more fragrant version of the iconic sponge cake, while the Milo Dinosaur is an indulgent treat topped with Milo powder and condensed milk.